Which Feng Shui Bagua Area Is OK to Place Garbage Can? Which Feng Shui Bagua Area is OK to Place a Garbage Can? The best feng shui placement of the trash can depends on your needs. If you have to have it in your kitchen or bathroom, you will not relocate it to the storage just because your kitchen or your bathroom are located in the Love & Marriage feng shui bagua area. Good feng shui is always in line with common sense because it has to work on a practical level. There are no better or worse feng shui bagua areas to place a garbage can because, in itself, a garbage can will easily create challenging, low energy vibes. No bagua area benefits from low feng shui energy (Si Chi)! So, you place it where you have to have it - be it in the kitchen, the bathroom or the garage - but you pay extra attention to it, and do your best to keep its energy clean. You also have to be sure to take good care of the overall feng shui of the area where your trash can is located. You do this not only because you deserve to live in a house with good feng shui, but because you need strong positive feng shui energy to counteract the potentially low energy of a garbage can. Here are 3 feng shui tips to help take care of your concern with the feng shui bagua location of your trash can. 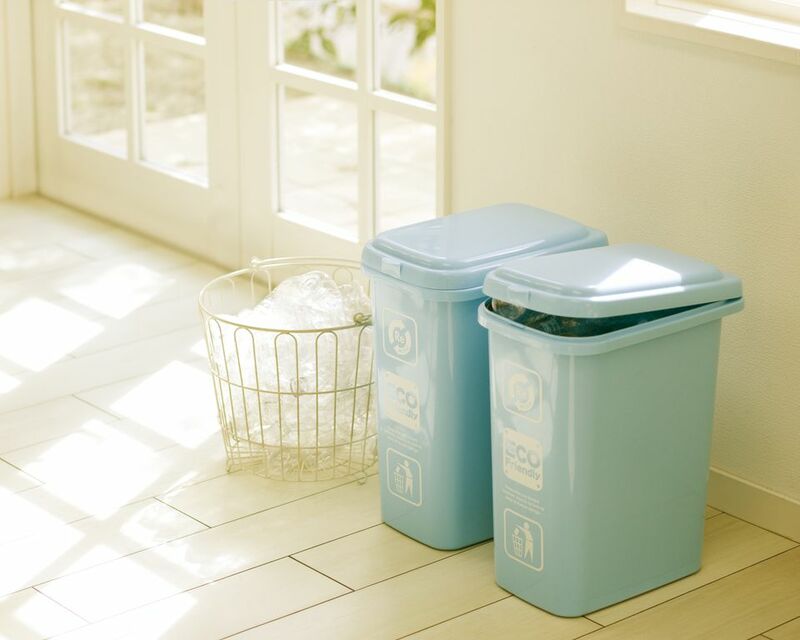 Always choose a garbage can with a lid, this will help keep the negative energy from spreading throughout your home. Do not have the garbage can in open view, you do not want to see it as soon as you enter your kitchen or your bathroom. Needless to say, empty your garbage can every day. Bad energy spreads very easily when unchecked, so take the trash out daily. As you can see, there is little sophisticated feng shui advice here, mostly common sense. The main mistake I see when consulting for homes and businesses is the placement a garbage can in plain view. It sounds ridiculous, but it does happen very often. Do you have a trash can in your office, for example, that is visible right from the entry? Or a garbage can in the kitchen that has become a focal point? Even though you might agree with me as you read this feng shui article, are you sure you do not have the same mistake in your own home or office? The worst placement of a garbage can I've seen was in a medium-size professional office (5-7 practitioners). The garbage can was placed right across from the main entry, under all the diplomas and certifications! This was bad feng shui for many reasons, the most obvious one being the trash can becoming part of a focal point of a business. At home, the most common bad feng shui placement of a trash can - even if it is almost empty and rarely used - is an open trash can in plain view. If you have a trash can placed in an area where you see it as soon as you come into the space, be sure this is bad feng shui, no matter which bagua area we are looking at. To sum it up, do not worry about specific bagua area where your trash can is placed. Do focus on, though, on taking care of the 3 feng shui tips form this article and you will not have to worry about bad feng shui placement of a garbage can. Focus on creating good feng shui in all bagua areas of your home, in all the obvious rooms, such as the bedroom or the living room, as well as less obvious spaces, such as the laundry room or the basement, and you will be enjoying good feng shui for a long time.